At the end of winter, we can all start to feel little flower deprived… I know I love driving by a well designed garden that has those first, early spring flowers. (Yes, I am admitting mine has none. Shhh.) Not only can those first spring blooms brighten your day after all the gloom of winter, they can jump start the gardening bug! Now, everyone already knows about the typical annuals you can buy at any grocery store or Home Depot… pansy’s, primroses and violas. I want to introduce you to some early spring perennials you may not have thought of, and that come back year after year for a better display each time, and add more interest and texture. So here are my top early spring flowers, and how to grow them! 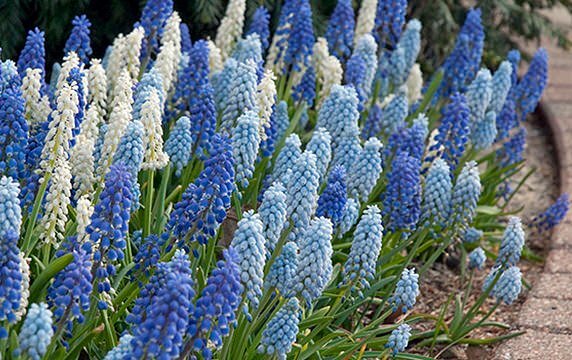 Grape Hyacinths are small bulblets that are planted in fall, and one of the first flowers of spring. They are a grassy looking plant that comes back every year with clustered flowers of various colors of purple, and even white! They love full sun to part shade, and average to sandy soil. These spring perennials multiply quickly, and can even be planted under trees. 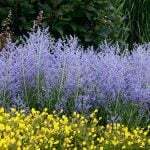 Looks best planted in sweeps, combine well with daffodils and tulips. Bloom from March – May, depending on your climate and variety. Some are even fragrant! Photo by ‘Colorblends‘. 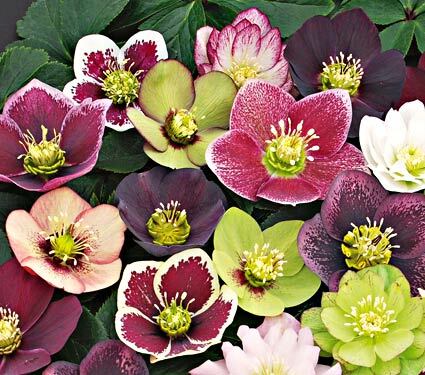 Lenten Rose blooms as early as February, with elegant flowers in pink, purple and white colors held above leathery, semi evergreen foliage. Some of the blooms are very detailed and gorgeous up close. Plant out of the wind, preferably with afternoon shade in hot areas. These spring blooming flowers like a more fertile soil. 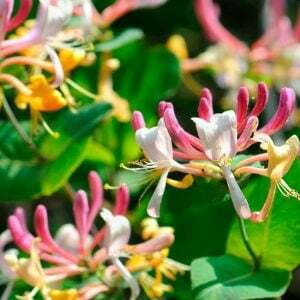 Hardy to Zone 5… Mild areas may see these bloom even in late winter! Photo by ‘White Flower Farm‘. 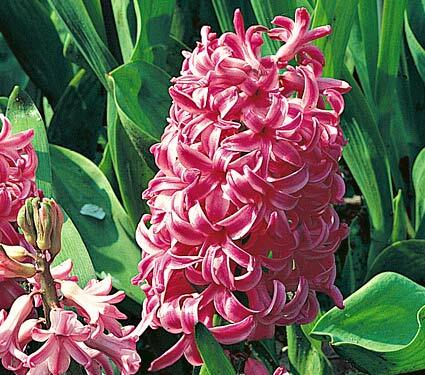 Hyacinths are another very fragrant spring flower, a bulb planted in fall. Good drainage is required, as well as full sun. Blooms in March – April, hardy to Zone 4. Photo by ‘White Flower Farm‘. 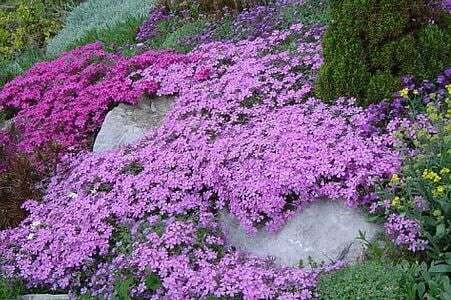 An early spring blooming ground cover that remains semi evergreen, this plant spreads to 2 feet and is covered with very bright pink, blue, purple or white flowers in March-April. Phlox demand well drained soil, or it will be very short lived… Makes quite a show! Hardy to Zone 3, needs full sun. Shear after flowering by one third. 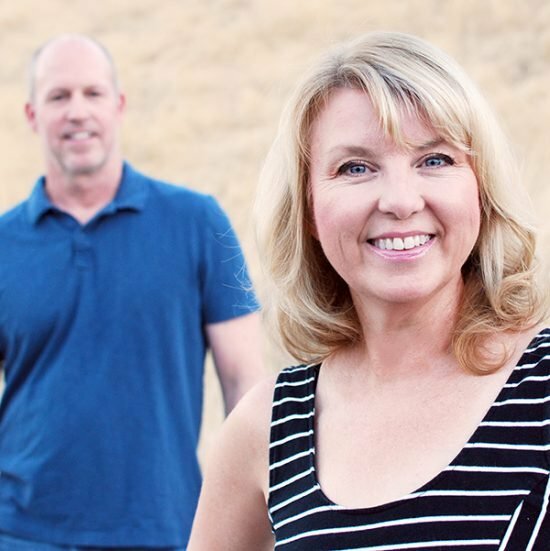 Photo by ‘Green Gate Farms‘. 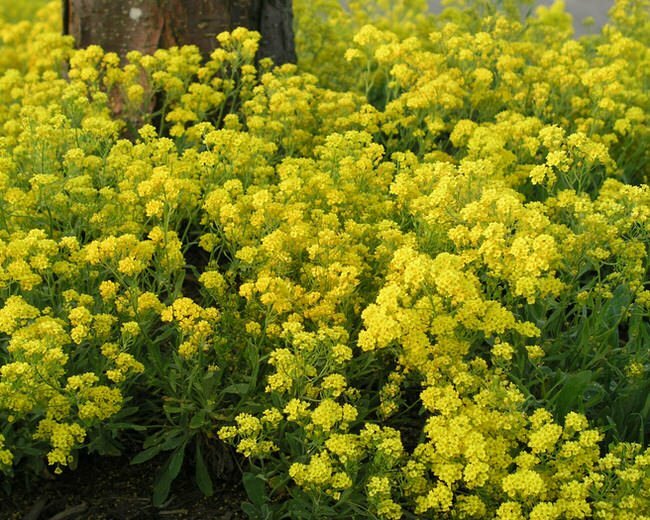 Gold Alyssum is a great ground cover type plant that spreads well and gives a jolt of bright yellow in early to mid spring. 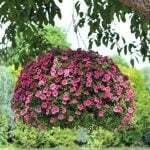 It blooms over a long period, and is hardy down to Zone 4. Easy to grow, just cut back by a third after flowering to keep these early blooming flowers from looking rangy. Is great where it can cascade over walls. Heat and drought resistant. 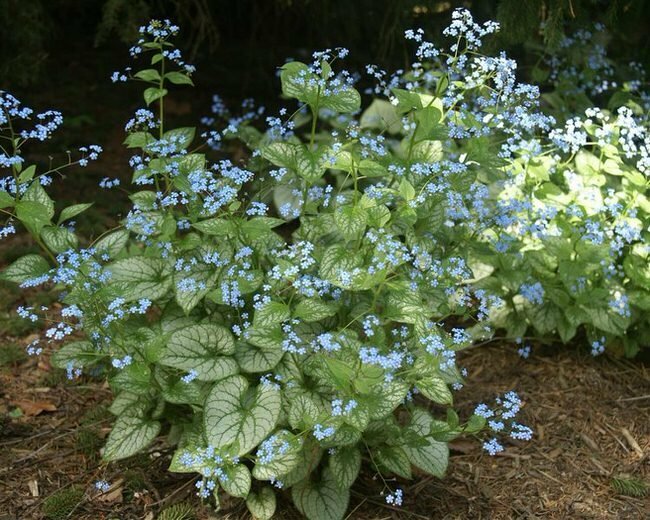 If you need a early spring flowers for shade, Brunnera is a great choice because it transcends the seasons. Once it’s pretty and delicate blue flowers finish, the heavily veined leaves give a foliage show the rest of the season. 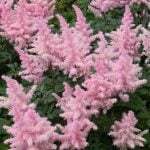 Some varieties are actually grown more so for their highly decorative foliage. Hardy to Zone 3, 15 inches high, and tolerates wet sites. 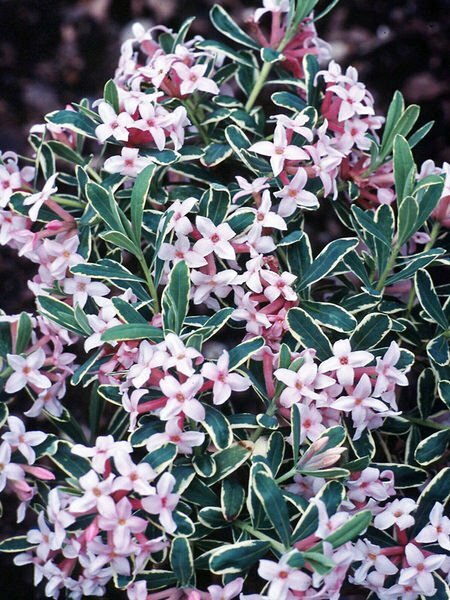 We love ‘Jack Frost‘, because it’s got a good balance between flowers and foliage interest. 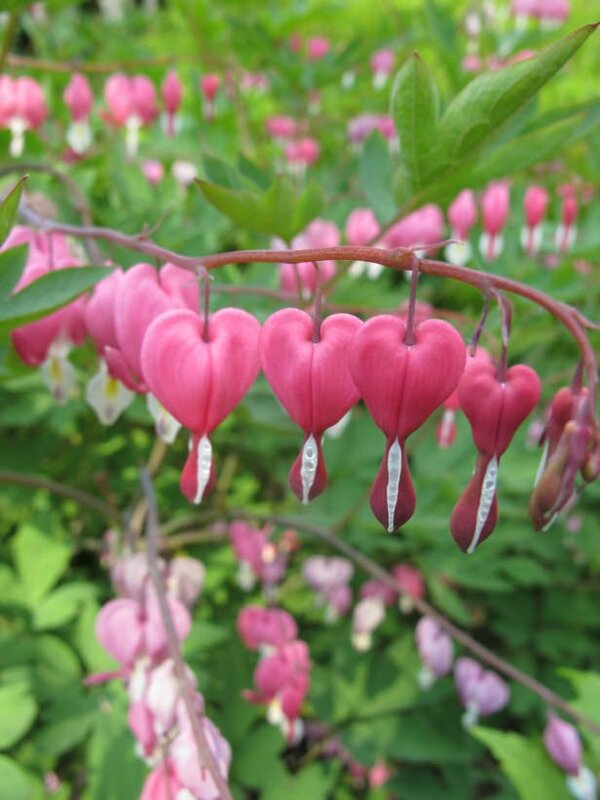 One of my favorites, Bleeding Heart is also a child’s delight, as each flower is a heart shape! (I don’t bother explaining “bleeding” to a five year old…) Blooming in early spring, prefers afternoon shade and rich soil. In all but mild summer climates, Bleeding Heart will go dormant in the summer and die back to the ground. No worries though, it will be back the next spring, as it is one of the best early spring perennials! Just be sure to plan other plants that will fill in to cover the empty spot in summer. Hardy to Zone 3… The fernleaf variety has a different type of foliage, but it is not exactly the same plant. Fernleaf bloom in summer. 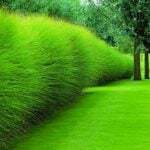 Photo by ‘HGTV Gardens‘. 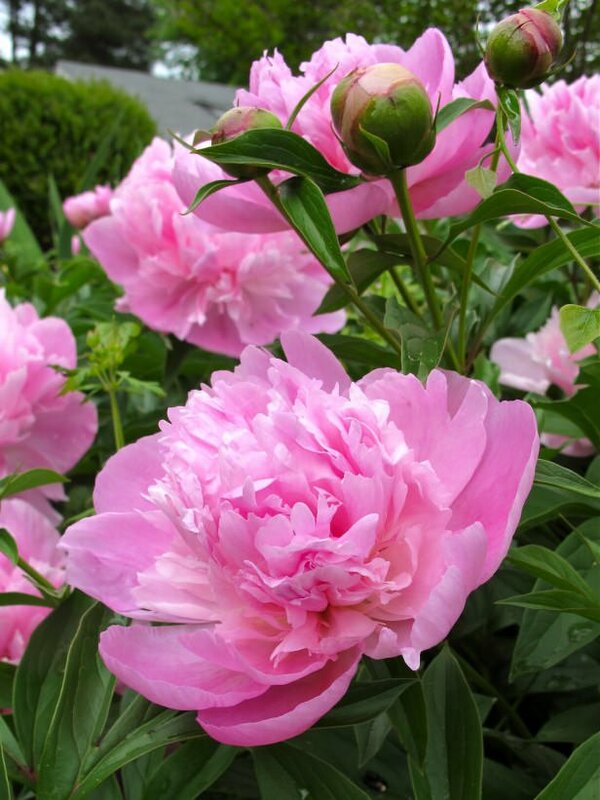 Our last choice are Peonies… Some varieties bloom in early spring, and some not until summer, so be sure to check out with your local nursery the best early peonies for you! We have a whole post on how to grow peonies that might help you get started. 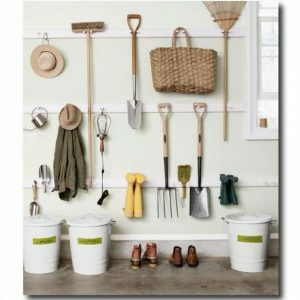 I hope you get inspired to start your early bloomers, and get a head start on the garden! Want to recommend a variety we left out? Comment! If you enjoyed this post on Early Spring Flowers, we know you will want to jump right over to our posts on How to Grow Hydrangeas and How to Plant Flower Beds! Don’t forget to Pin your favorites so you remember them later!